For being such an integral part of how we live in the United States, driving a car is shockingly dangerous. The weight of many cars – some coming in at several thousand pounds – combined with the speed we drive them, make them easily capable of inflicting serious injuries if anything should go wrong. And things do go wrong. Car accidents happen constantly, from your simple fender-bender in a parking lot to an accident on Germantown Avenue, Route 309, Stenton Avenue, Lincoln Drive to a high-speed collision on Interstate Route #76 or the Roosevelt Boulevard. We are here to help. There are a number of dangerous intersections in Philadelphia.Many of these crashes result in people getting hurt or, worse, killed. Even the best safety mechanisms and precautions cannot prevent all of the dangers that come with a serious car accident. You want an experienced Philadelphia personal injury lawyer but you think you need to go downtown? Its not necessary to go downtown to get top notch representation for your injury claim. 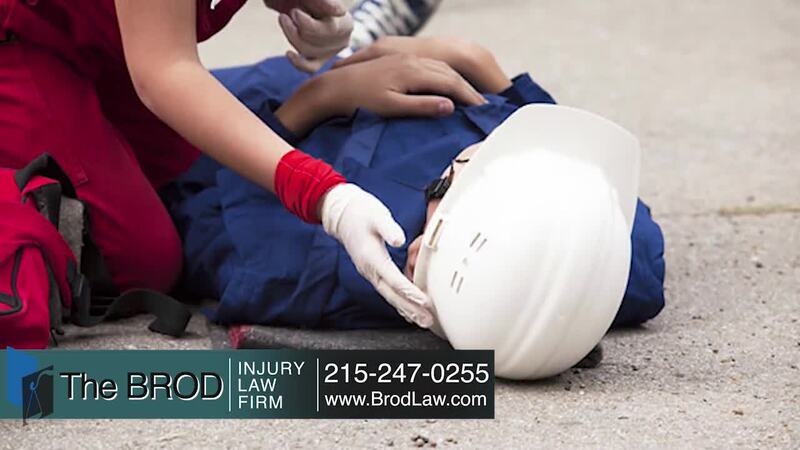 We are nearby and top rated Philadelphia personal injury attorney Gary Brod will represent you. We are convenient to all areas of Philadelphia and nearest to Northwest Philadelphia, Germantown, Lafayette Hill, Chestnut Hill, Mt. Airy, East Oak Lane, West Oak Lane, Northeast Philadelphia, Glenside, Jenkintown, Cheltenham and Willow Grove. Why Hire A Germantown, Philadelphia Car Accident Lawyer In An Auto Accident Case? This is why the attorneys at the top rated Brod Law Firm represent people who have been hurt in car accidents both in and around the Germantown, Philadelphia area. By fighting for your rights and interests in and out of court, we can ensure you make a full recovery. One thing you can be sure of that by hiring the accident attorneys at the Brod Law Firm we will be acting as quickly and aggressively as reasonably possible to get you a top settlement result for all your injuries and pain and suffering. We are injury accident lawyers and achieving the best result possible for our injured clients has been our sole focus for over 30 years in Philadelphia. See what our clients say about us and in case you are wondering see who we have represented in the past. Why Choose Germantown Car Accident Attorney Gary Brod? FAQ: Why does Germantown, Auto Accident Attorney, Gary Brod frequently win favorable settlements in Philadelphia car accident cases? Answer: Because we make it our top priority to know our cases well we can deal from strength, not weakness. We prepare each case from the beginning as if it would have to be tried in a Philadelphia courtroom. Personal Injury Lawyer Gary Brod serving Germantown, Philadelphia begins the preparation of his cases for trial from the first day he meets his clients. He thoroughly prepares the case to go to trial, hires the most qualified experts, does in-depth and detailed investigation and researches necessary points of law about the case. The defendant and the defendant's insurance company know of our years of experience and successful track record and will see how well prepared we are. This approach has rewarded our injured clients with substantial awards and settlements. Because of our extensive experience, we are knowledgeable about numerous strategies available to help you obtain a maximum financial recovery after a car accident. As we are well-known and respected by our peers in the legal community, we are often able to quickly resolve your claim in ways that meet or exceed your expectations. Approximately 90% our Philadelphia motor vehicle cases reach satisfactory settlements. Car accidents are unfortunately, a regular part of driving a vehicle on the roadways of America. Even if you are abiding by all of the rules of the road and being a safe driver, other people can be driving while distracted, under the influence, or erratically. This can lead to you getting involved in a car accident, through no fault of your own. Top rated Germantown car accident injury attorney Gary Brod and The Brod Law Firm have litigated many successful personal injury cases and can help you receive the compensation to which you are entitled. The Brod Law Firm's experienced auto accident injury lawyers welcome you to contact our offices at any time. It will not cost a penny to speak to Germantown, Philadelphia Injury Lawyer Gary Brod who will personally handle your case, nor will it cost you anything up front to retain his services as he carries all costs. In your no obligation consultation your case will be discussed and the facts will be reviewed and evaluated on the spot by attorney Gary Brod with an opinion of what we can do for you and your case. We handle all auto accident injury cases throughout the state of Pennsylvania. Established car accident expert injury lawyer Gary Brod serving Germantown, Philadelphia has extensive experience handling thousands of the most serious injury cases including traumatic brain injury, loss of limbs, paralysis and serious neck and back injuries. He knows the law and understands the medicine behind his client's injuries. He has loyally served Germantown area residents for over 30 years. 19101, Center City 19102, 19103, 19104, 19105, 19106, 19107, 19108, 19109, 19110, 19111, 19112, 19114, 19115, 19116, Chestnut Hill 19118, Mt. Airy 19119, Olney 19120, 19121, 19122, 19123, Frankford 19124, 19125, West Oak Lane 19126, Manayunk 19127, Roxborough 19128, 19129, 19130, West Philadelphia 19131, 19132, 19133, 19134, 19135, 19136, 19137, West Oak Lane 19138, 19139, 19140, East Oak Lane 19141, 19142, 19143, Germantown 19144, 19145, 19146, 19147, 19148, 19149, Cedarbrook 19150, Overbrook 19151, 19152, 19153, 19154, 19155, 19160, 19161, 19162, 19170, 19171, 19172, 19173, 19175, 19177, 19178, 19179, 19181, 19182, 19183, 19184, 19185, 19187, 19188, 19190 19191, 19192, 19193, 19196, 19197, 19019, 19092, 19093, 19099, 19244, 19255 We see many Philadelphia auto accident cases from Germantown, Mt. Airy, Cedarbrook, Chestnut Hill, Frankford, Center City, Southwest Philadelphia, North Philadelphia, East Oak Lane, West Oak Lane, Northeast Philadelphia and South Philadelphia.